Employment - I'm The Chef Too! Love working with kids? Love cooking? Join your two loves and join our team! 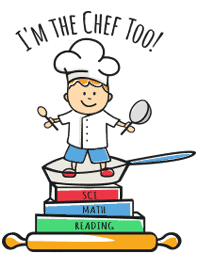 At I’m the Chef Too! MD, you’ll teach educational concepts through cooking. Children learn cooking and recipe basics, while learning content related the class. We offer summer camp locations in Anne Arundel, Baltimore, Howard, and Montgomery Counties. We offer after school programs and special events through Baltimore and Howard County. While cooking experience is helpful, it’s not necessary. Ideal candidates have experience working with and teaching children and are responsible, enthusiastic, patient, and reliable . We provide all of the lessons and materials, as well as training and support. Our goal is for students to learn and be engaged while having fun in a safe environment. We take the job of teaching and caring for children seriously! If this sounds like a team you’d like to be a part of, apply below! Which location(s) are you interested in working at? (You can find a full listing on our website under "Camp Schedule" or you can list the county you prefer to work in). Have you applied for a position with our company before? What experience do you have working with children (both paid and unpaid positions)? What culinary/cooking experience do you have? A background check will be performed as a condition of employment. To the best of my knowledge and belief, the information given truly represents my background and experience. I understand that if I have knowingly or negligently misrepresented, falsified or omitted any information during the application process, I may be disqualified for employment consideration or dismissed from employment with Im The Chef Too.